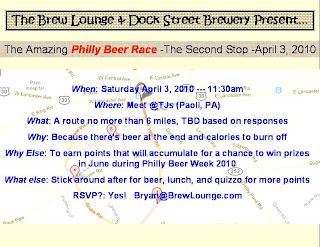 The Brew Lounge: Will you Join us for a Run next Saturday fromTJs in Paoli? Will you Join us for a Run next Saturday fromTJs in Paoli? Check back here for more details, in case you missed them the first time around.